Use to pinpoint power robbing leakage in the piston bore, rings, valves, heads or gaskets; or to set fuel injector barrel valves. Adjustable regulator provides accurate readings with varying air supply. 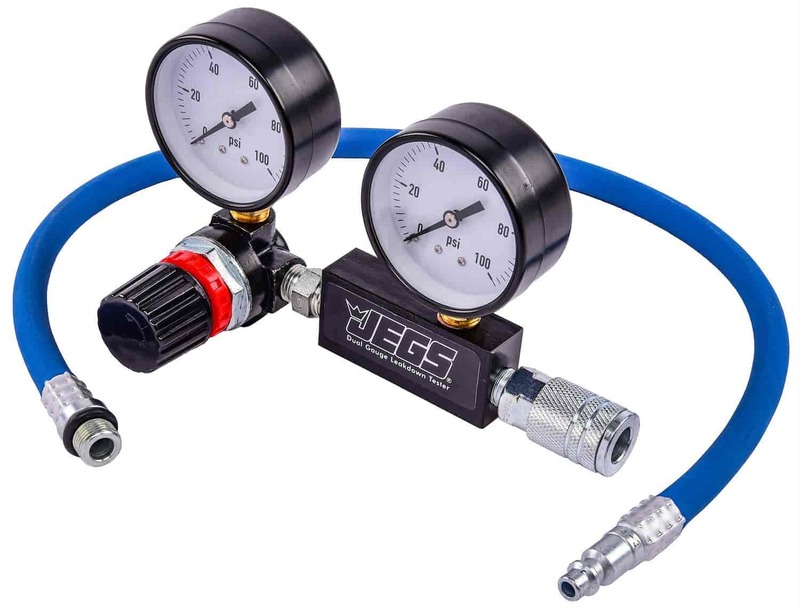 Includes stainless hi-tech shock proof gauges, tested and matched to 1/4 PSI. Black anodized manifold body. For use in applications where 14mm spark plugs are utilized. 80520 is rated 4.0 out of 5 by 2. Rated 5 out of 5 by riverrat1963 from Great! I have used my leak tester, it works very well. Thank you for sending it to me. Rated 3 out of 5 by impalarob from Typical tool for the price. No pipe Tape to seal it so plan on taking it apart and wrapping all the threads before use. And the gauge has no useful red, yellow, green leak down condition. Besides all that if you're a real mechanic this is a great tool at a great price and I've compared it to a snap on leak down tester and it was within such spec you couldn't tell. Good buy for the home mechanic. This gauge does not have a case. Does this tester come with a 16mm spark plug adapter? No, this does not include an adapter for the 16mm spark plugs.